We will run occasional grading checks on Proxibid auctions so you can see how we bid based on condition. 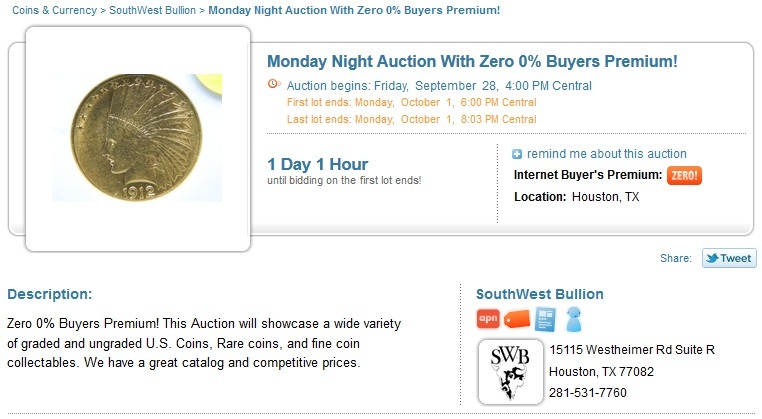 These coins are from Southwest Bullion’s Oct. 1 auction. We grade on PCGS standards as found on Photograde, admittedly more conservative than grading of most auctioneers but still the standard in numismatics. 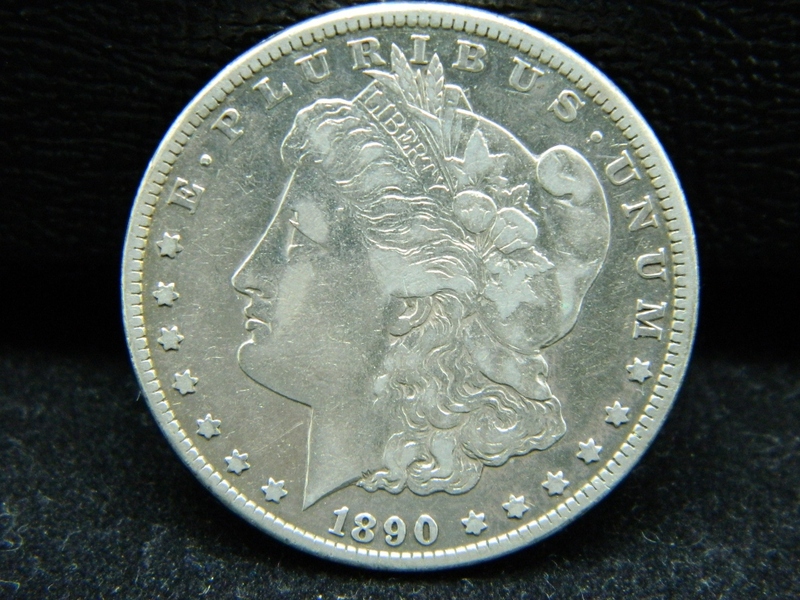 “GEM” if will grade at NGC or PCGS at the MS65 level or higher. 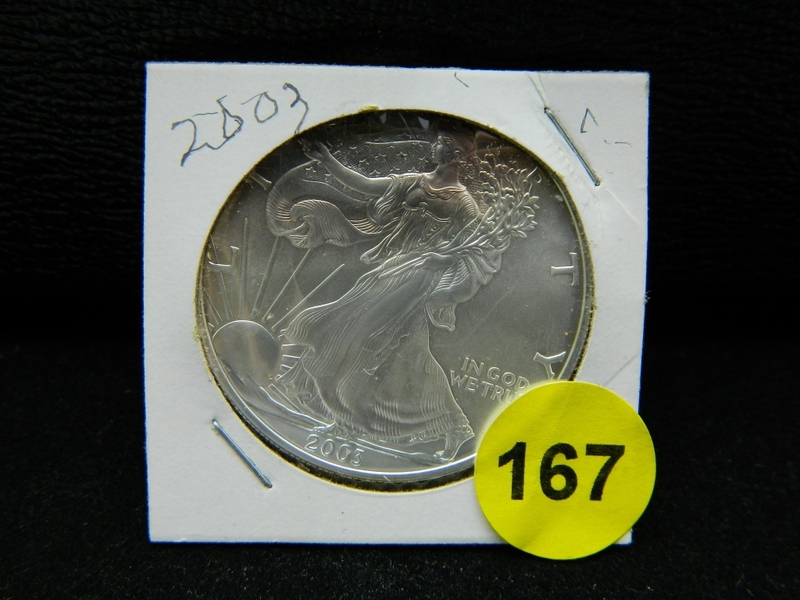 This is a “gem” silver eagle. 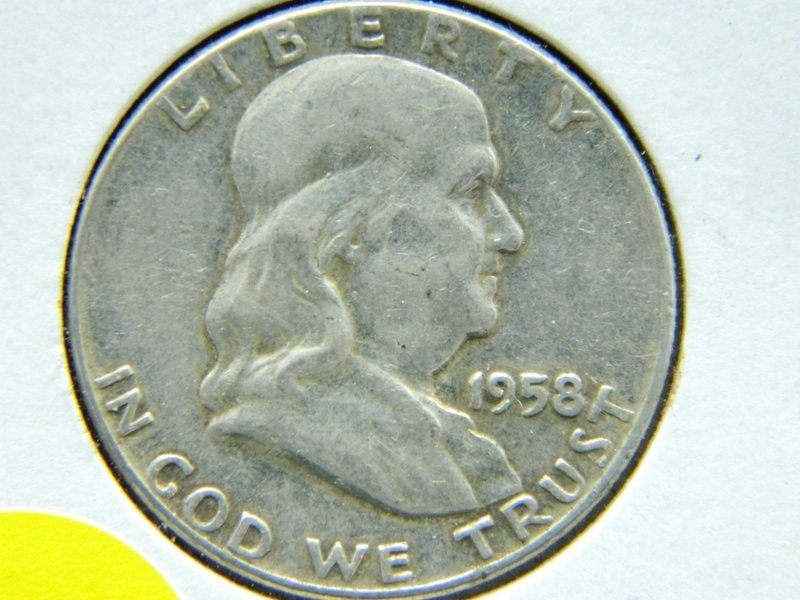 “CHOICE MINT STATE” if it would grade at NGC or PCGS at MS63-64. We agree with the Southwest Bullion grade here. 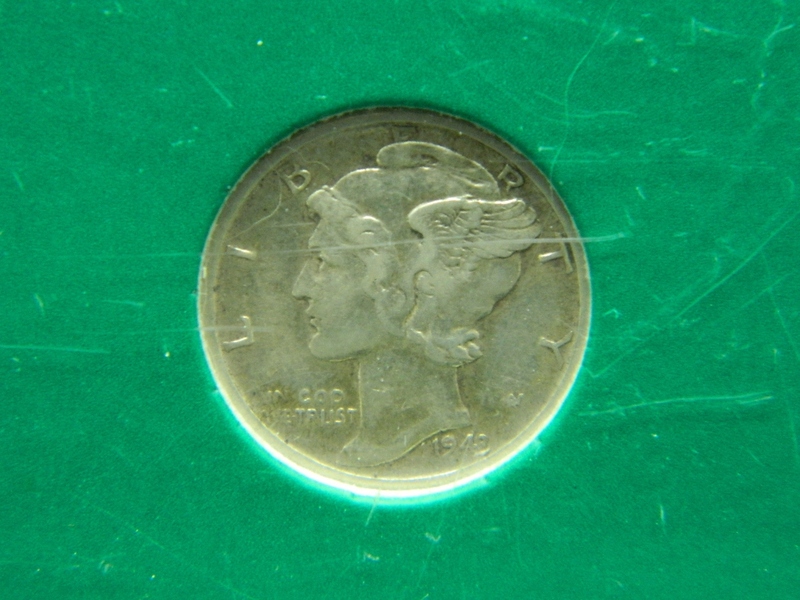 “MINT STATE” or “UNCIRCULATED” if it would grade MS60-62. We agree with the grade here. 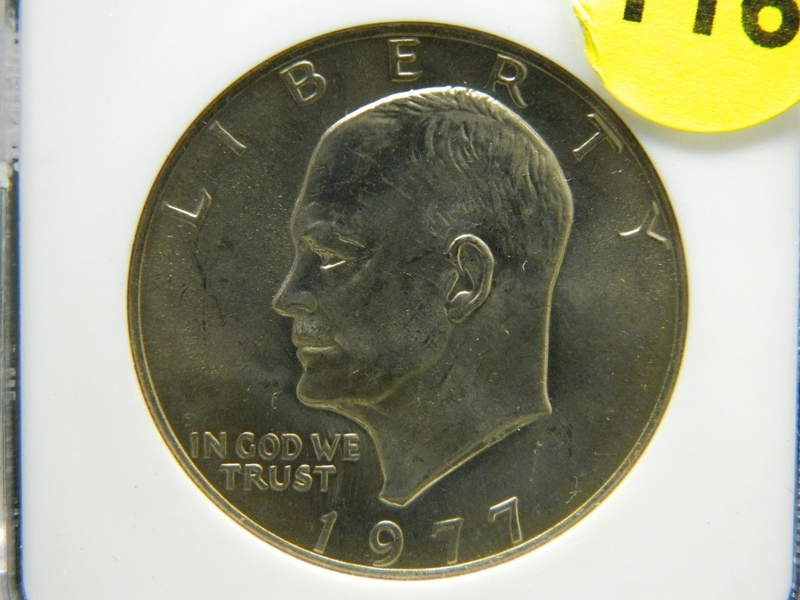 ““ALMOST UNCIRCULATED“” if it would grade AU50-58. 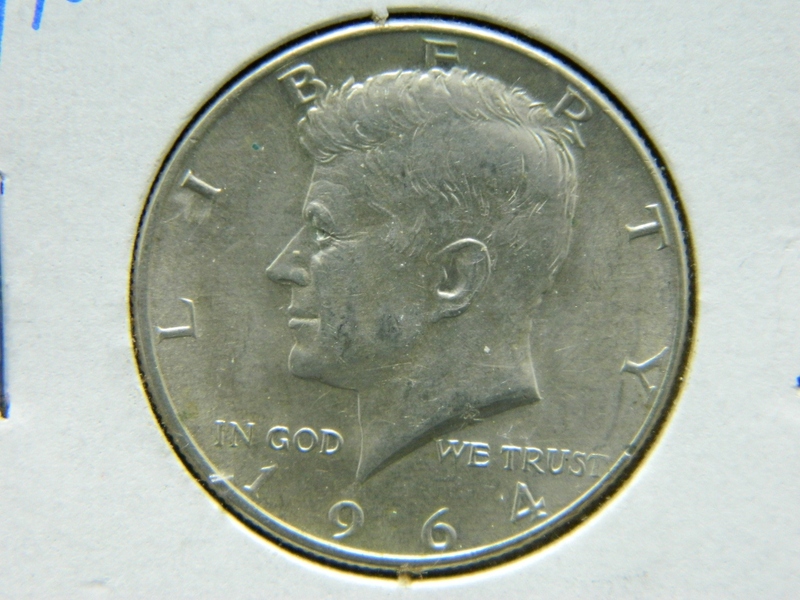 We call this AU55 and not uncirculated as listed on the flip. “EXTRA FINE” if it would grade EF40-45. No grade was listed on the flip or lot description. “VERY FINE” if it would grade VF20-35. This coin was described as EF40; we call it VF20. “FINE” if it would grade F12-15. 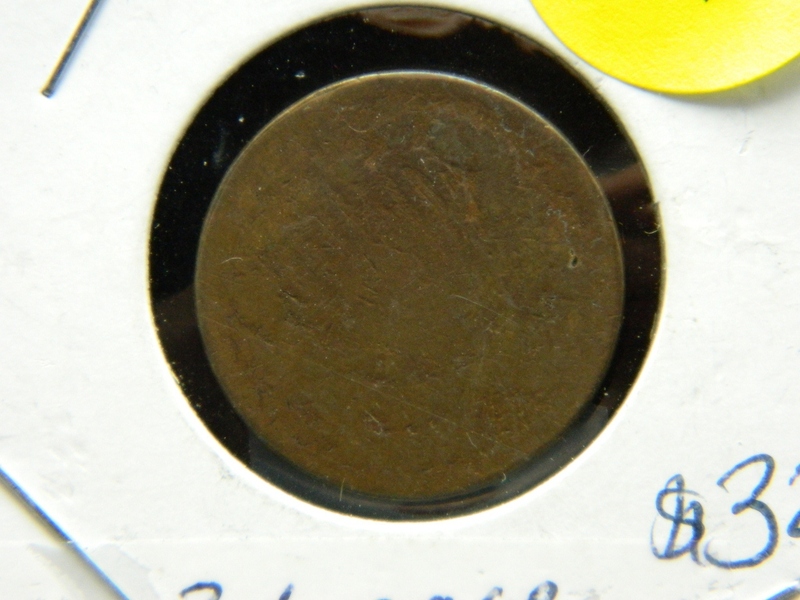 This coin was described as “very fine”; we assign F12. “VERY GOOD” if it would grade VG8-10. We agree with this grade. “GOOD” if it would grade G4-6. We agree with this grade. Anything less than that would grade poor 1, fair 2, about good 3. We agree with this grade. All in all, we agree with most of the grades designated by Southwest Bullion. 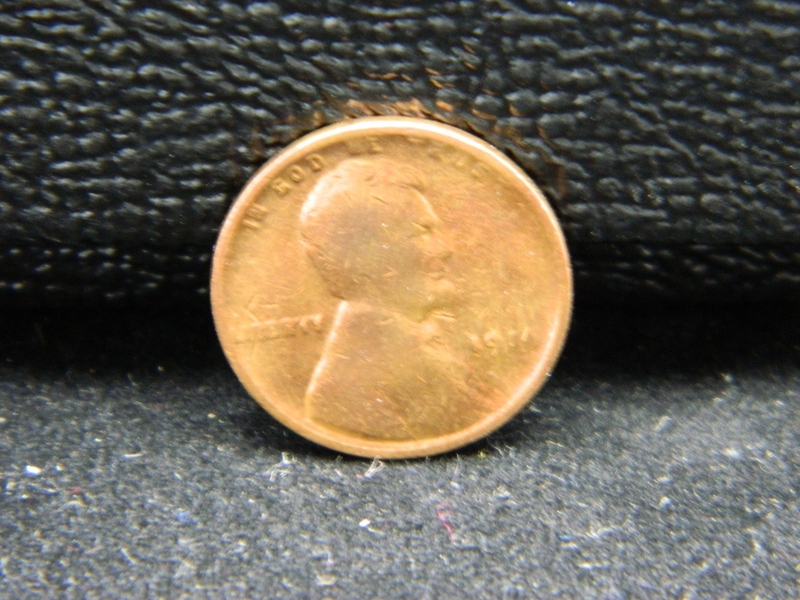 A few coins not mentioned here had flaws such as cleaning or erosion that were not noted in the lot description. Most lot descriptions were reliable. 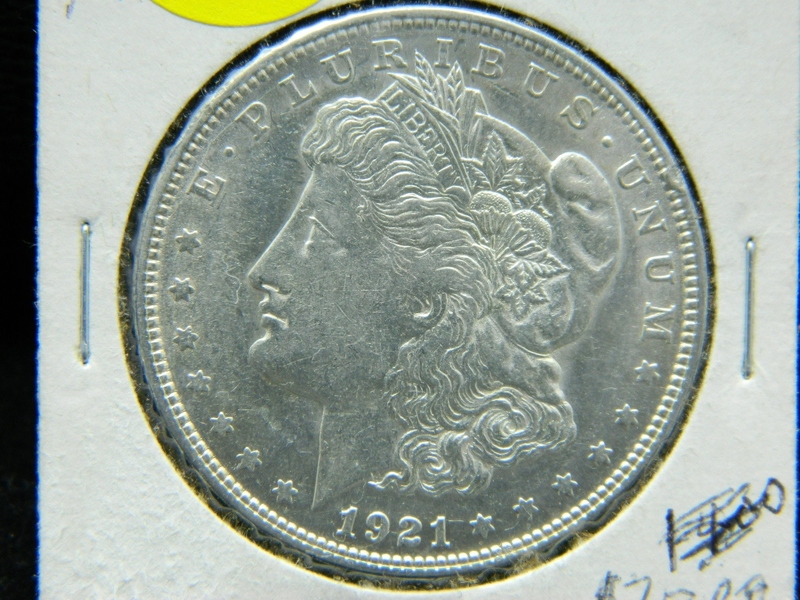 However, we found instances of overgrading based on PCGS standards. Grading is in part subjective, and is difficult to do via online photographs. Our designations are based on how we bid and why. Thus, the overall grade on Southwest Bullion’s grading based on our criteria: B. 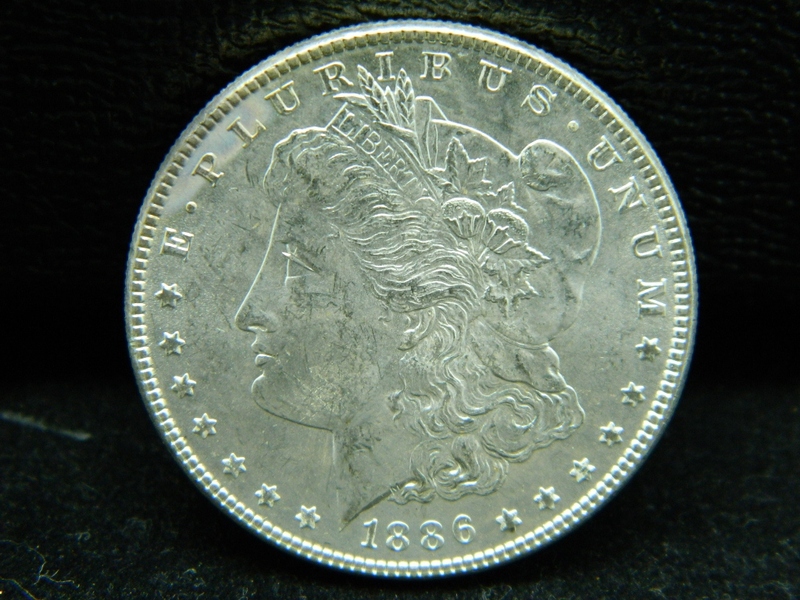 This entry was posted in Featured Updates and tagged American Numismatic Association, Auctioneers, AuctionZip, Best Practices, Coin Auction, iCollector, National Auctioneer Association, Proxibid, Proxiblog, Southwest Bullion. Bookmark the permalink.